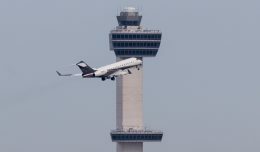 First proposed by a Presidential Commission in 1987, an initiative to privatize the air traffic function of the Federal Aviation Administration (FAA) is once again gaining traction in Washington. The past 30 years have seen proposals from both parties to move air traffic control from the auspices of the Federal Government and hand it over to private concerns, but none have yet been successful. Before a privatization scheme can begin in earnest, lawmakers must first answer the fundamental question of what are the issues that need to be resolved within the FAA, and more specifically, the FAA’s air traffic control operation. Air traffic control is a vast system that encompasses much more than simply blips on a radar screen and controllers in darkened rooms or control towers radioing instructions to pilots, and a change of operational control will have impacts across the aviation industry. Privatized air traffic control has been implemented in many countries around the world, though many have dealt with difficult transitions including issues with labor relations in Canada and a near-bankruptcy and government bailout in the UK. Recently, members of the House Transportation and Infrastructure Committee traveled to Canada to review their not-for-profit Air Navigation Service Provider (ANSP), NavCanada, and learn how they conduct business. NavCanada seems to the apparent model for the effort to privatize the FAA’s Air Traffic Organization (ATO). 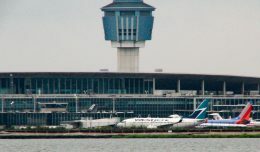 While the structure and operations of NavCanada and the new ATO may be similar, the American ATO would cover four times as much airspace as Canada, have four times as many IFR movements, six times as many general aviation aircraft, six times as many air traffic facilities, and ten times as many controllers. Even though the United States spends more money aviation research than any other country, politicians would have the public believe that whole National Airspace System (NAS) is being operated on 60-year-old systems without any attempt at modernization. Detractors grandiosely display paper flight strips on television to insinuate that flights are only tracked manually. These paper strips exist as a backup to the automation displays, as visual aids in the tower, and as a quick reference to a controllers to help determine optimal departure sequencing. The FAA’s modernization efforts continue apace. The Agency is gradually rolling out elements of its NextGen Air Traffic Control platform. The cornerstone of NextGen is Automatic Dependent Surveillance Broadcast, or ADS-B. ADS-B shifts the primary data source from ground-based radar to equipment on the aircraft itself that broadcasts its position. 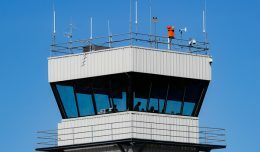 In order to support this transition, all of the high-altitude Enroute Air Traffic Control Centers have been upgraded within the last five years with the En Route Automation Modernization (ERAM) computer systems for flight data processing, radar tracking, and ADS-B tracking. At major and mid-level airports, associated Terminal Radar Approach Control (TRACON) facilities have also been upgraded to Terminal Automation Modernization and Replacement (TAMR) systems for these same functions. Some small airports and TRACONs are still in the process of modernizing, but those installations are on schedule and due to be completed soon. The ground-based ADS-B tracking network, which receives the data from the aircraft and transmits it to the air traffic control facilities, has been completely built out and is in use. This data is merged with legacy radar data and placed on controllers’ screens where the flight tracking actually occurs; not on the paper strips. There is much more to NextGen than ADS-B, and there have been delays and budget overruns while NextGen systems and procedures are being deployed. Many of these delays can be directly attributed to the stop and start funding provided to the FAA through years of partisan politics and government shutdowns. Consider that any project has startup costs and expenses for development and implementation, but then imagine what happens to those costs when the contractor is directed to stand down because there are no more appropriated funds. Stopping a project is costly and restarting an unfinished project when appropriated funds become available makes that project even costlier. There is no surprise that some programs could be over budget. Even though the FAA’s air traffic control automation platforms are ready for NextGen surveillance; the airlines themselves are not completely ready. ADS-B Out capability on aircraft is mandated in most airspace by January 1, 2020, but as of June 1, 2017, the FAA estimated only 1,118 aircraft out of approximately 4,800 airliners in the US were equipped. The current equipage rate is about 45 planes per month, but with only 30 months left before the ADS-B deadline, this results in only 1,350 additional compliant airliners, and leaves roughly half the fleet without required equipment. The main obstacle to air traffic control modernization has been funding. The FAA operates under an Authorization written into law by Congress that provides the framework for how the Agency operates, receives, and obligates its funding allocation. Authorizations typically cover a five year period so that the Agency can plan strategically and to insulate the Agency from annual budgetary cycles, but the last full five-year authorization expired in 2007. Congress has failed in its responsibility to pass a permanent FAA Reauthorization legislation that would appropriate a predictable stream funds for the Agency, instead relying on a series of short-term stopgap measures. The current Authorization expires on September 30, 2017, and there have been three separate pieces of legislation introduced in the Congress as the basis for the next FAA Authorization, which would also be the vehicle for the potential ATC privatization. In the House, Democrats and Republicans have introduced competing legislation, while a single bipartisan bill is under consideration by the Senate. The Republican bill in the House is H.R. 2997, the “21st Century Aviation Innovation, Reform, and Reauthorization (AIRR) Act.” This complex and thorough legislation was proposed by Rep. Bill Shuster (R-PA), the Chairman of the House Transportation and Infrastructure Committee. This bill has already been voted out of Committee along party lines, and is expected to be considered and passed by the full House sometime in July. Though the bill covers every facet of the FAA, the most notable section of this bill is the establishment of a federally chartered, not-for-profit Corporation to take over air traffic control services. For the first three years of the reauthorization period, funds are appropriated for FAA operations in the same manner as today, but in FY21, the new Corporation takes over and air traffic operations become sustained from user fees assessed by the Corporation. (2-3) Two directors appointed by the Secretary. (4) One director nominated by the Passenger Air Carrier Nomination Panel. (5) One director nominated by the Cargo Air Carrier Nomination Panel. (6) One director nominated by the Regional Air Carrier Nomination Panel. (7) One director nominated by the General Aviation Nomination Panel. (8) One director nominated by the Business Aviation Nomination Panel. (9) One director nominated by the Air Traffic Controller Nomination Panel. (10) One director nominated by the Airport Nomination Panel. (11) One director nominated by the Commercial Pilot Nomination Panel. (12-13) Two directors nominated and selected by the other directors. While this appears to cover a wide range of aviation stakeholders, the makeup of the nomination panels, is very detailed and specific. The authors of the bill surely wanted most stakeholders to be represented in the process of selecting directors for the board of the corporation, but critics have noted that it serves largely to entrench the interests of airlines. The regional air carrier nomination panel is only represented by the three largest regional air carriers and the air traffic controller nomination panel is only comprised by representatives “designated by the largest organization engaged in collective bargaining on behalf of air traffic controllers employed by the Corporation.” The remaining regional air carriers are left out as are the bargaining unit members of several other unions representing thousands of potential Corporation employees. The Corporation would also have an Advisory Board that may study, report, and make recommendations to the Board of Directors on matter relating to the Corporation’s provisions of services and safety concerns. 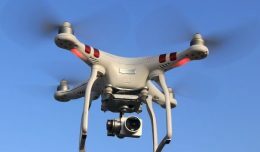 The Advisory Board can be no larger than 15 members and must represent the Air Carriers, General Aviation, Business Aviation, Commercial service airports, Operators and manufacturers of commercial unmanned aircraft systems, appropriate labor organizations, the Department of Defense, and Small Communities. The fact that so many different groups with competing interests will populate both the Board of Directors and the Advisory Board may result in the Corporation becoming paralyzed by corporate politics and self-serving interests. The major and regional air carriers could have conflicting ideas and priorities to those of general aviation or the airports. All of these groups currently have access and influence in the FAA to express their interests but, in the end, the FAA makes decisions solely from a safety perspective. The competing House legislation was introduced by Rep. DeFazio (D-OR), the top Democrat on the Transportation and Infrastructure Committee. His bill, H.R. 2800, The Aviation Funding Stability Act, does not change any of the legislative requirements that dictate how the FAA operates but it does change how the FAA is funded. Mr. DeFazio’s bill is a direct response to those critics who say that the FAA needs a steady funding stream separate from Congressional allocations. The legislation states that monies in the Airport and Airway Trust Fund shall not be subject to sequestration, which are automatic cuts that take effect when Congress does not have a permanent budget. The Trust Fund monies must be made available at all times for obligation and expenditure, meaning that the FAA can spend the funds as they are collected and deposited, much like a business. Currently FAA operating funds come mostly from the Trust Fund and these funds can only be obligated by direct appropriation law passed by Congress. This bill will also allow for uncommitted funds in the Trust Fund to be used in for improving the conditions of any ATC facility. 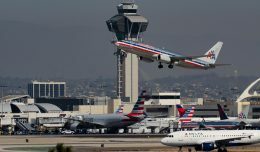 The legislation would also require that the Administrator consult with the bargaining units of both the air traffic controllers and the airway transportation systems specialists before any modernization efforts commenced. Rep. DeFazio’s proposed legislation would effectively remove the FAA operating budget from any direct appropriation by Congress; thereby separating the FAA from the political ineffectiveness of the legislative body. DeFazio tried to get this added to the AIRR Act in committee markup; unfortunately, it was not adopted. Any protection of the FAA from Congressional appropriations will have to be considered in the Senate. The companion Senate bill to the AIRR Act is S.1405. Unlike the House, where separate bills were introduced by each party, this piece of legislation was jointly introduced by the Chair and Ranking Member of the Senate’s Committee on Commerce, Science, and Transportation, as well as the Chair and Ranking Member of the Subcommittee on Aviation Operations, Safety, and Security. This bill has also been reported out of Committee and is ready for consideration by the full Senate, though it is unlikely that the upper chamber will act until the House bill is passed. The Senate bill does not propose any drastic changes to air traffic operations of the FAA, and keeps air traffic control as a government service. It also does not change the funding mechanism at all. As an addition, Sen. Steve Daines (R-MT) has introduced S.320, the NextGen Accountability Act. This bill amends the current authorization, requires the FAA to identify performance metrics with respect to NextGen projects, and revises performance goals and the award of bonuses for the Chief NextGen Officer. 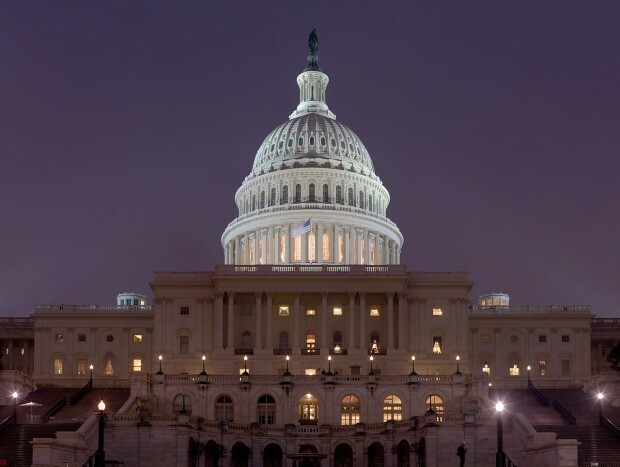 As the Senate bill is aimed solely at FAA reauthorization without any operational changes to the Agency, any reform must be proposed in House legislation and reconciled in conference between the House and Senate after both bills have passed. Of the two bills left to be considered in Congress, Sen. Thune’s bill is merely a new authorization proposal for the FAA that maintains the status quo for air traffic operations. His proposal does add other aviation-related legislation unrelated to air traffic; but the apportioning of funds is the same as it has been for years. Rep. Shuster’s AIRR Act is an all-encompassing aviation related bill that provides for a complete rewrite of the FAA authorization legislation and creates a not for profit corporation to become the ANSP in the United States, funded entirely on user fees except for the general aviation fuel taxes that would remain. The House bill also aims to transfer assets of the FAA to the Corporation without any payment by the new Corporation to the Government. Proponents argue that the assets have already been paid for by the users and they should not have to pay for them again; however, there are provisions for giving technical assets back to the government if the Corporation no longer need them to perform operations. Canada and the United Kingdom were compensated for their infrastructure upon transition to not-for-profit Air Navigation Systems Providers (ANSPs), and the United States should be compensated as well if the AIRR Act becomes law. The FAA needs a stable funding stream for the long term. The AIRR Act also provides for a stable funding stream. But the impact to the flying public is unknown. There is no guarantee that a “not-for-profit” corporation led by some “for profit” companies will not succumb to financial influences to circumvent procedures that have provided for the world-leading safety record of the FAA. Even a not-for-profit corporation has to survive and financial shortfalls could have an impact on decision making and safety. For the FAA, safety has always been and will continue to be the only concern in decision-making. Funding may limit what can get accomplished but safety is never compromised due to financial pressures. The AIRR Act seems destined for House passage, though the Senate seems to be against the privatization effort. Make no mistake though, this would not really be privatization but would be a federally chartered monopoly that can directly affect the cost and safety of air travel. The United States has the largest, most complex aviation system in the world. It is also the safest and this is by design. Why change what works? Instead, why not properly fund the best ANSP in the world? Let it continue unabated to build upon its successes as it deploys NextGen technologies and procedures into the NAS. Tom Rainey has nearly 30 years of service to the nation as a radar, radio, computer, and NAVAIDS specialist. Half of these years have been in various management roles as a DoD contractor, military, and the FAA. Additionally, he has served as a labor representative and subject matter expert for the Professional Aviation Safety Specialists (PASS) during development and implementation of ADS-B.